It appears that the ability of Donald Fagen to continue to use the Steely Dan name may be in jeopardy. 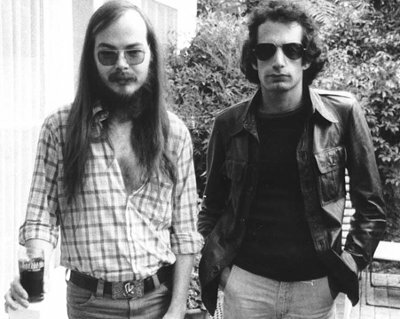 Fagen has sued the estate of his late musical partner Walter Becker over the ownership of the band's name. Shortly after Becker's death, his estate sent a letter to Fagen stating that an agreement that all members of the band signed in 1972 was "of no force or effect". That agreement stated that the shares of the band would be split evenly and, when a member left or died, that their shares would be split between the remaining participants. As Becker and Fagen were the only remaining members of the original band, Becker's death should have made Fagen the sole owner; however, the Becker estate is alleging that Walter's widow would continue to own 50% of the band. Fagen further goes on to say that, since Becker's death, his estate has taken over the Steely Dan website and he no longer has access. In addition, Donald is suing the band's business managers, saying that the company is withholding records. Fagen's attorney, Louis "Skip" Miller, said in court filings "It has recently come to light that NKSFB [Nigro Karlin Segal Feldstein & Bolno] engaged a law firm on Steely Dan’s behalf without disclosing the engagement to Fagen. Especially now, with the Becker Defendants taking a position adverse to Steely Dan and with the Becker Defendants retaining NKSFB, a full and complete accounting is necessary to protect Plaintiffs’ interests." Fagen is looking for $1 million in damages and is asking that the 1972 agreement be enforced.